Laura Hughes discusses patient involvement in healthcare. 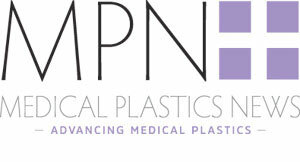 I am delighted to be the new Editor for Medical Plastics News. A keen scientist, my background is heavily chemistry focused. I have a Master of Pharmacy degree, and have spent my entire career working in medical publishing, specialising in cardiology and ophthalmology. My background in pharmacy means I’ve always been interested in the patient’s voice, and I believe this is something that is becoming increasingly prominent. It was recently reported that 90 companies to date have pledged to the Patient Safety Movement Foundation (PSMF), which aims for zero preventable deaths in the future. The PSMF addresses healthcare technology within their mission. Whilst significant progress towards eliminating preventable deaths is being made, there may be a longer way to go than we think with regards to transparency. An example of a failure to disclose information was recently brought to light in the news, where a repository of hidden FDA reports was made public, with one device of mention being surgical staplers. It was stated that the makers of surgical staplers had been privately granted an exemption, meaning that any reports of malfunctions were in a database not visible to physicians or the general public. A former FDA official spoke out about the public’s right to know this information. The patient’s needs are however being addressed in the medical device industry through the use of innovative devices such as the AWAK PD device. This device allows dialysis for renal diseases to be conducted whilst the person treated is able to continue their daily life; preventing them being subject to hours in a hospital or treatment centre. I believe we are making giant steps in acknowledging the patient’s voice in this industry, and that patient involvement will only increase with time. I am looking forward to learning more about the patient’s role, and the most recent advances in the plastic medical device sector. At a time where more patent applications were filed by European Companies in 2018 than the previous year, I know I have chosen a very exciting time to join this magazine. I’m pleased to say I will be joining my colleagues from our sister title, Med-Tech Innovation News, at the Med-Tech Innovation Expo, taking place at the NEC, Birmingham, UK, 15-16 May. I look forward to meeting you there and learning more about your current projects.